October 30, 2012 marks the 70th anniversary of the sinking of U-559 and the heroic capture of an M4 Enigma and code books critical to the code breaking efforts at Bletchley Park. 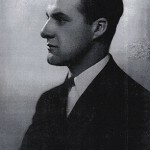 Four British naval destroyers, dispatched from Port Said, detected the U-boat using ASDIC, British SONAR technology, and hunted the submarine over a ten hour period. U-559 was eventually depth charged and forced to surface under cover of night. 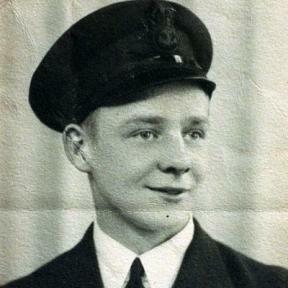 As the U-boat crew abandoned ship, they failed to destroy the Enigma or scuttle the submarine. 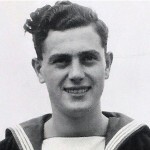 Three British sailors, Lieutenant Anthony Fasson, Able Seaman Colin Grazier, and NAAFI canteen assistant Tommy Brown, climbed aboard the slowly sinking U-boat, retrieving the Enigma and the codebooks with the current settings. 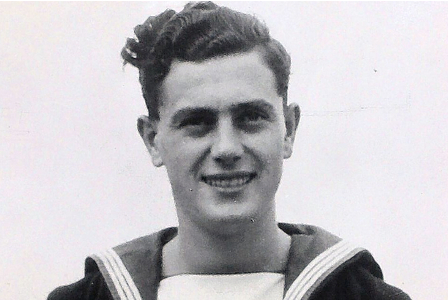 The submarine suddenly foundered while Grazier and Fasson were attempting to escape; both sailors drowned and were posthumously awarded the George Cross. Able Seaman Colin Grazier, G.C. With the introduction of the more advanced M4 version of the Enigma, the German Navy crippled Bletchley Park’s code breaking abilities for most of 1942. Unable to decipher U-boat transmissions, the Allies were sustaining incredible shipping losses in the Atlantic and Mediterranean by roving U-boat “wolfpacks.” The codebooks captured from U-559 gave Bletchley Park the key to deciphering signals from the new M4 version of the Enigma. 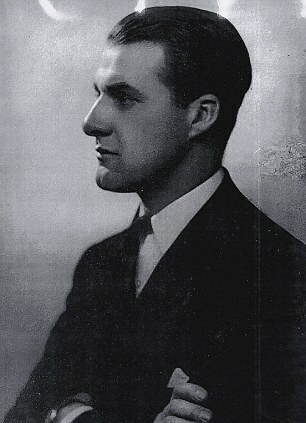 Using the new cipher, the first intercept revealed the positions of more than a dozen U-boats and subsequent intercepts allowed the Allies to reroute shipping convoys around waiting German submarines. Consequently, Allied shipping losses during January and February of 1943 were cut in half, marking a turning point in the Battle of the Atlantic. 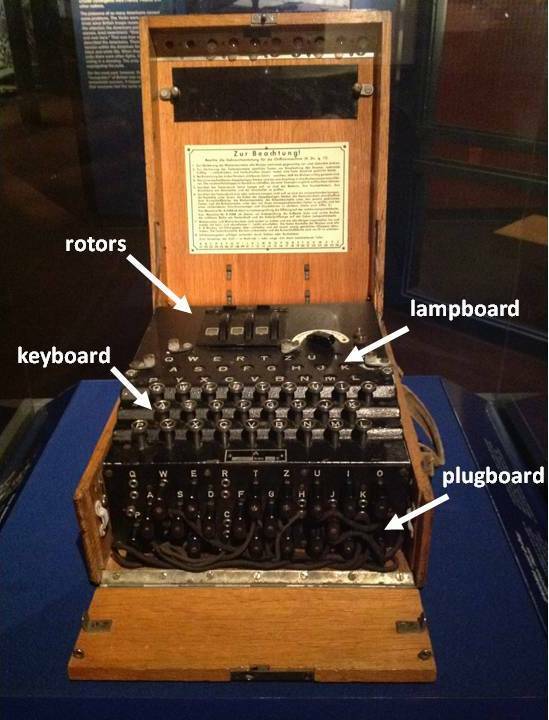 The Enigma is an electro-mechanical machine used by Germany during WWII to encrypt and decipher secret messages. The machine itself consists of a keyboard used to enter the message, three or four rotating alphabet disks known as rotors that function to substitute letters, a lampboard used by the operator to read an incoming message, and a plugboard which provided an additional layer of encryption by scrambling letters. Enigma encoded messages by repeatedly changing the electric pathway through the machine, producing a polyalphabetic substitution code. Operators used codebooks to set their rotors and plugs, as identical settings were required when sending and receiving encrypted messages. With its additional fourth rotor, the Naval Enigma M4 proved impossible for mathematicians at Bletchley Park to break were it not for the codebooks captured from U-559. On that fateful moonless evening seventy years ago today, the heroic actions of Fasson, Grazier, and Brown paired with the tireless work of code breakers at Bletchley Park ultimately saved vast amounts of shipping losses and countless Allied lives. Enigma M3 on exhibit at The National WWII Museum. The Naval Enigma M4 held four rotors in the same space as the three-rotor version pictured above. On loan from the National Cryptologic Museum. Posted by Annie Tête, STEM Education Coordinator at The National WWII Museum. Alcan Highway Completed LAST DAY to order and receive your commemorative certificate by Veterans Day!